SPECIAL OFFER - Don't miss our great special offer for weekend stays with 15% off in June, and 10% off September and October. Includes a FREE early check in from 12pm on Friday and FREE late check out up until 6pm on Sunday! The property sleeps up to 10 guests with a double sofa bed in the lounge, but is ideal for families wanting a seaside break. Immaculately presented with little touches such as tea, coffee, sugar and fresh milk always provided as standard, together with a selection of cereals for breakfasts. A welcome pack of fresh flowers are also provided for guests together with a bottle of bubbly or some chocolates, depending on the type of clients arriving i.e. a family, a stag group or a hen party. 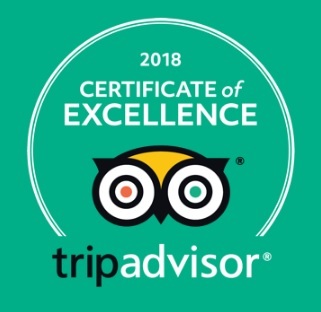 Awarded TripAdvisor Certificate of Excellence 2018. Living/Dining - Good sized living area with comfortable seating and dining for up to 10 guests. L-shaped sofa converts to a comfy king-size sofa bed to sleep 2. There are double doors leading out to the fantastic garden space. 22” flat screen SMART TV. Kitchen - Fully equipped for all of your holiday self-catering needs. Master Bedroom - Sleeps 4, super king-size (6ft) zip & link bed, a single day bed and an additional pull-out single bed. En suite wet room with shower, wash basin, WC and underfloor heating. Second Bedroom - Sleeps 2, king-size (5ft) zip & link beds. The Beach Hut - Delightful fisherman's hut to sleep 2 with a comfy double bed. Wardrobe, mirror, kettle and milk, electrics and underfloor heating. Bathroom - Bath with shower over, wash basin, WC, heated towel rail and underfloor heating. Garden - Fab outdoor space with BBQ area, table and chairs, parasol and deck chairs. All male bachelor groups - please call the office to discuss suitability before booking on-line - many thanks. For groups over 8 there is a double sofa bed supplement of £75. Please remember to tick the box on the booking page. Zip & link beds can be set up as either a double or singles on request. Please state preference at the time of booking. For families, the apartment is very child friendly with bed guard for toddlers, travel cot for babies, a spare pram in the garage, safety plastic covers for plug points and door guards to protect little fingers from slamming doors, toilet seat and potty, booster seat and a high chair on request. There are a few stairs down to the property front door. Once inside, the apartment is all on one level, on the lower ground floor. There is no allocated parking at this property. Free parking for multiple cars on Saturdays & Sundays at Norton Road car park by prior arrangement. Otherwise free parking for one car for weekly stays. For any additional cars parking permits can be supplied. For alternative parking ideas, please visit yourparkingspace.co.uk and use the code CROWN10 to receive a 10% discount. 15% for stays 1st Jun 2019 to 30th Jun 2019. 10% for stays 1st Sep 2019 to 31st Oct 2019. The Beach Hut Apartment was a perfect rental and location for our hen do of ladies aged 30+. The decor is gorgeous and completely modernized throughout. The kitchen had everything we needed including things we'd forgotten like bin bags and ice! The fresh flowers were a nice touch too. We had lovely weather and couldn't believe how close we were to the beach for a stroll. There's every shop/bar and restaurant you could ask for too, all within 5 minutes walking distance. – Gemma, June 2017, TripAdvisor. We have had such a good weekend! Couldn't have been any better, the house was great! Thank you. Having searched widely for somewhere to stay in Brighton, for our annual golf weekend away, this apartment seemed to tick all the boxes. Well priced, good location and enough beds. When we arrived it exceeded all our expectations, plenty of space and finished to hotel standard, at half the price. Beautiful bathrooms, well equipped kitchen, BBQ, sky sports....what more could we ask for?! To top it off, a lovely owner with golf course recommendation and very understanding when we needed to check out late due to a few too many drinks the night before! The area was very convenient, close to the beachfront, far enough from the centre so as to avoid late night noise, yet not too far away to walk home. Tesco nearby was a lifesaver and the local curry house was fantastic. The nearby golf courses were great, especially Singing Hills and West Hove. The only negative...we had to go home and back to work on Monday. Highly recommended for golfers and non-golfers alike. Lovely apartment and was perfect for the family over the Easter weekend. Made us feel very welcomed with good communication throughout. Thank you. – Elisabel, March 2016. TripAdvisor, 4 stars. Thanks for a great weekend.I stayed here in August for a weekend with my friends for a hen party, then stayed the rest of the week with my partner. The place is immaculate, two good size bedrooms, and 2 bathrooms. The garden is lovely and neat and great to spend some time relaxing away from the windy beach! The apartment is situated in Hove - which is a lovely 30 minute walk from the centre of Brighton - either on the front or on the back road where there are lots of little shops and cafes to stop off at. I would recommend this to all travellers regardless of party type. The links with London from Brighton are great - frequent and fast trains and this made a perfect place to base ourselves for our trips to the Olympics during our stay. We have stayed here for 4 nights and don't want to go home! We have been visiting family who live in Hove and we have found the location perfect for the seaside attractions and the shops/restaurants of Hove and Brighton. The owner has been really lovely to deal with and always happy to help. When we arrived there was a high chair, cot and even a baby bath and toys provided for us as she knew we had very young children. These were extra touches that most people wouldn't bother with. I would recommend this apartment to anyone. It is very modern and beautifully decorated, with excellent facilities such as free wifi, sky plus, and a fantastic kitchen. In addition to everything above there is a lovely garden and patio area outside where you can sit out and relax with a glass of wine. We will certainly be rebooking to stay again, for longer next time! We have just returned from a 5 day stay at the Beach Hut Apartment and will most certainly be returning in the future. The apartment was more than adequate for our party of 5 (2 adults and 3 children 4,5 & 8 years). Very close to the beach & ideally located to walk into the centre of Brighton, which we did several times. The 4 year old required a few rides in the buggy but the others happily walked, enjoying the beach entertainment along the way. The accommodation is of a very high standard and very well equipped. There is a lovely garden and a beach hut which we did not need but may use on a future visit. Fiona the owner was very easy to deal with and gave excellent instructions about how to locate the property. The attention to detail was excellent making for an overall very comfortable stay.